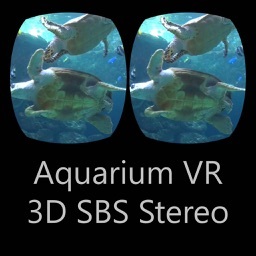 With this App you can view HD 3D Stereo Videos and use a VR Glass with two displays use or your Smartphone with a non display VR Glass. Video format, SBS, 3D, Oculus Rift, Goggle, Google Cardboard - What is it? 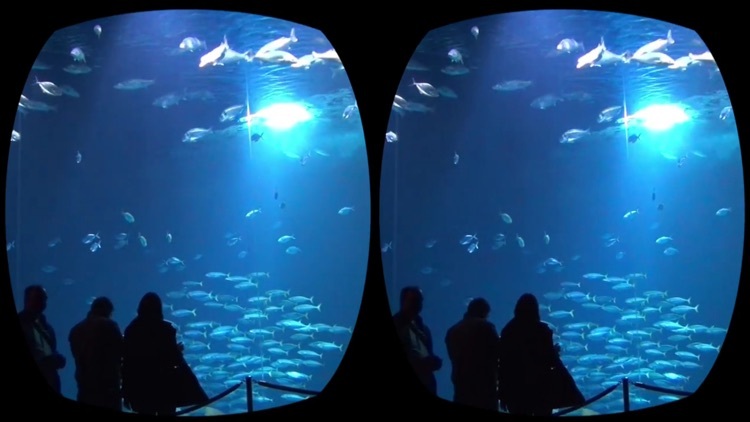 The videos were recorded with a 3D camera and if there is in Side by Side format, an image for the left, an image for the right eye. 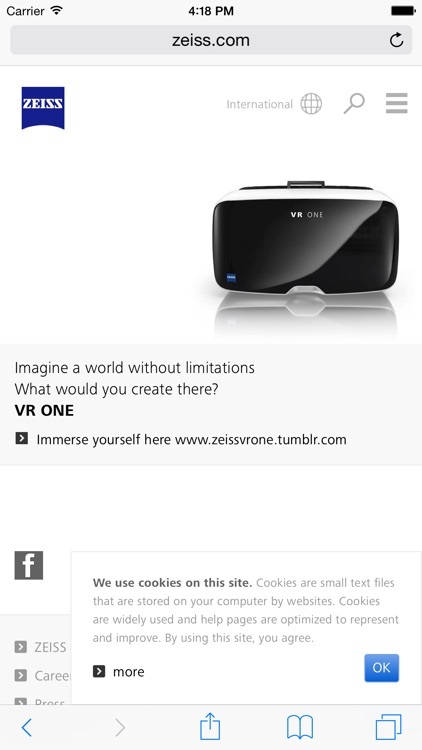 With a 3D TV or video goggles (Oculus Rift or sg Goggle Glasses (not Google!) 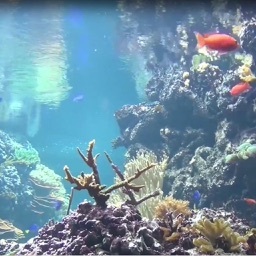 You can view these videos. 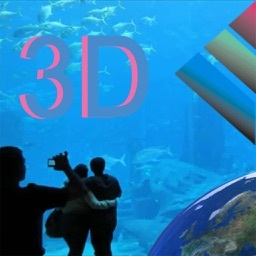 You see a real 3D movie. You can use the iPhone / Ipad directly via VGA or HDMI adapter to this Glasses hook up. 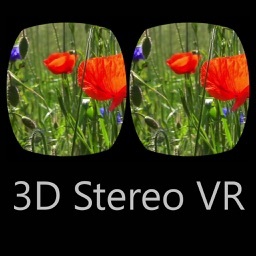 Furthermore, it is there glasses without screen (Samsung Gear VR, Google Cardboard or Zeiss One). 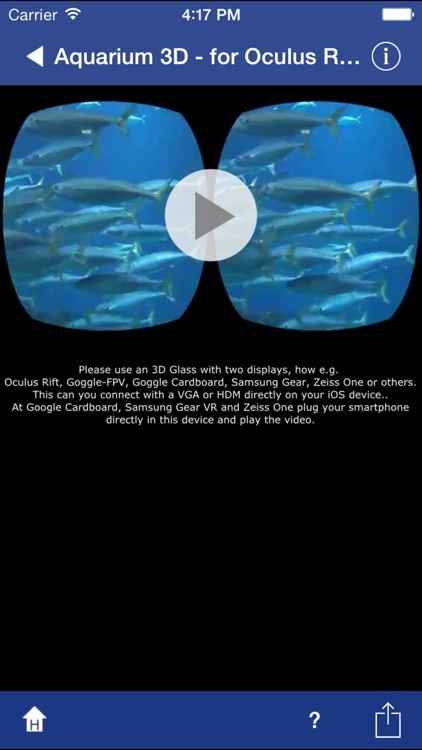 Where you plug the phone into the glasses and use its screen. 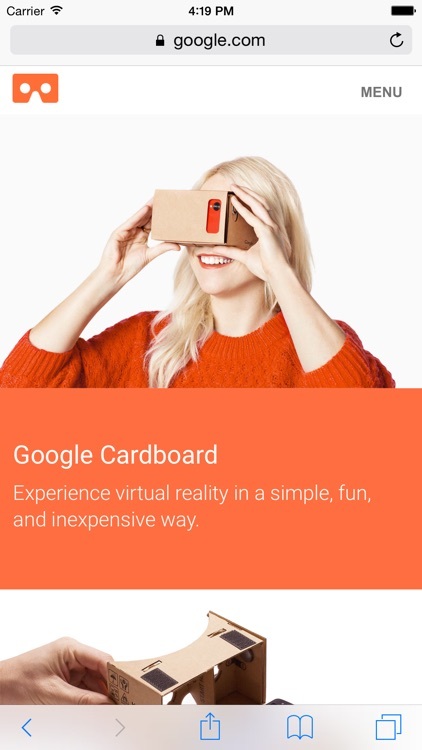 It is most advantageous to the goggle Cardboard version as of cardboard for about 8 USD. If you would like to view the videos on a 3D TV, which is also best when Apple TV. 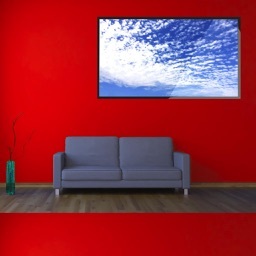 On 3D TV, press the 3D button and choose "side by side".